In order to understand the impact of social media in emergencies and formulate guidelines for enabling and encouraging users of social media to contribute to public safety and security a huge amount of fundamental and applied research in interdisciplinary fields has to be conducted. Methodologies about the impact assessment, information mining, information quality, information gathering, and information routing have to be defined and developed. A novel IT-system will be defined to combine the results and serve as an instrument to understand the impact of social media in emergencies. The work has been divided into seven work packages (see Figure). 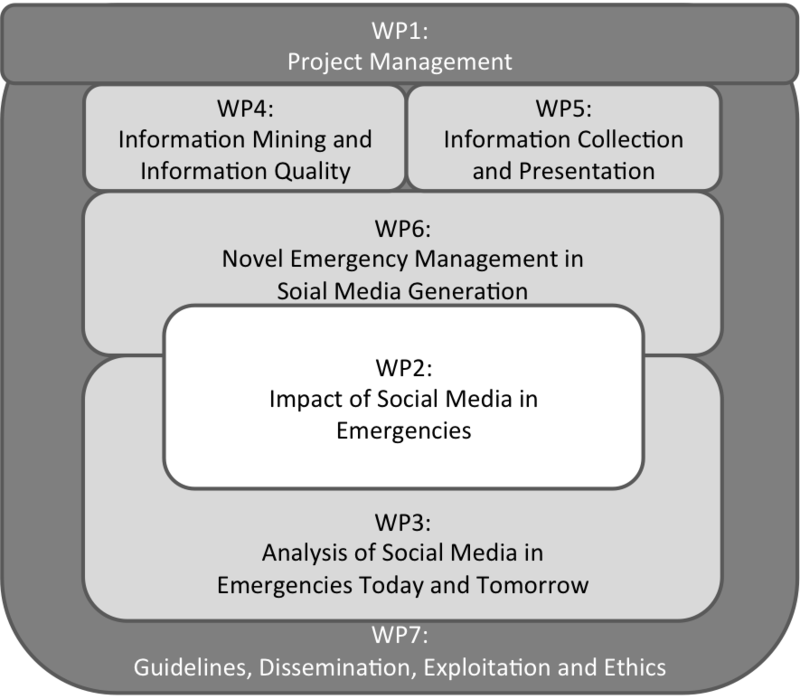 The centre of the project EmerGent is the assessment of Impact of Social Media in Emergencies (WP2). In the WP a continuous study of citizens and EMS is conducted to assess the impact resulting from the results and outcomes of the project. The Analysis of Social Media in Emergencies Today and Tomorrow (WP3) including the requirements definitions builds the foundation and input for all other activities. In WP4 new methods and tools concerning Information Mining and Information Quality are investigated, developed and implemented. A parallel WP is about the Information Collection and Presentation (WP5) whose purpose is to transfer and display data and information between citizens and EMS. 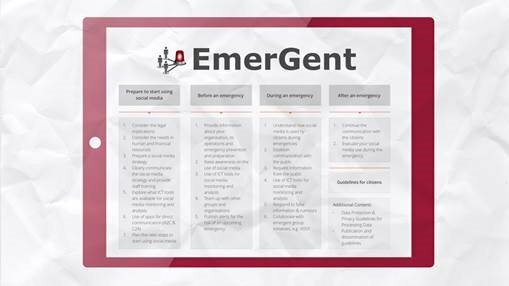 Based on those results the Novel Emergency Management in Social Media Generation (WP6) is developed and evaluated. The outcomes are embedded in and lead to Guidelines (WP7) to enable and encourage all relevant stakeholders. Furthermore WP7 supports the research project by Dissemination (participation and contribution to international conferences, journals, etc.) and Exploitation (business model development, etc.). Additionally issues concerning Ethics are handled in this WP. 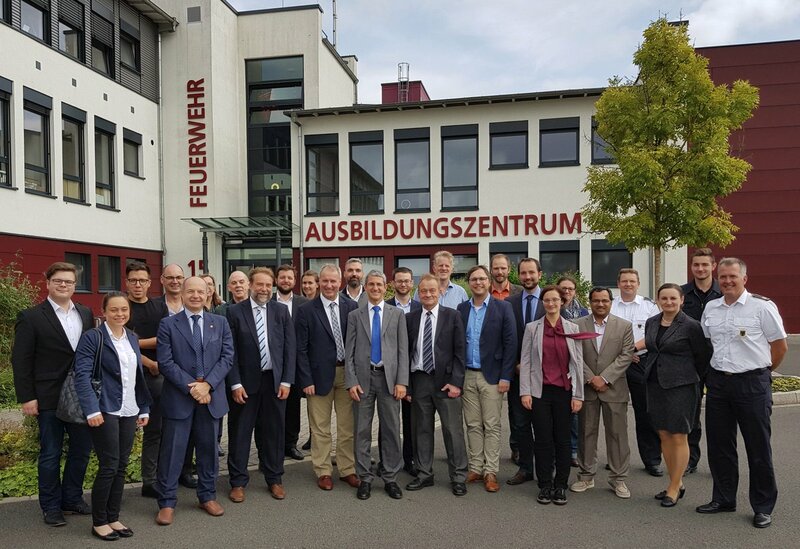 The Project Management (WP1) coordinates all administrative, financial and technical activities and issues, stays in contact with the European Commission.